Dogs are extremely intuitive and aware of their surroundings. They know when something is about to happen or when you’re feeling down and can easily adjust when their surrounding is in chaos. Some people even believe that the man’s best friend can predict if someone is going to die. Other than those mentioned, below are some more of the unexpected things dogs can surprisingly sense. Humans emit faint odours of illnesses, such as certain types of cancers and diabetes. It is just too subtle for humans to detect, but with dog’s sensitive sense of smell, they can sniff out something that’s off. If you notice your dog obsessively sniffing a particular area of your body, consider seeing your doctor. Some dogs are trained to be seizure-alert dogs. They are taught to alert their owners before a seizure attacks. Sometimes, they lie on top of their owner during an attack and howl to summon for help. However, not all dogs are trained to detect signs of seizure. They just instinctively know what’s going to happen, but no one knows exactly how dogs sense this. Since ancient times, people believed that dogs can sense an upcoming earthquake. In ancient Greece, dogs were seen fleeing the city of Helice before a strong earthquake hit the place. In China, there are also stories of dogs howling and showing signs of distress before a seismic activity. Though dogs are very much aware of their surroundings, experts say that a dog’s hearing is so sensitive that it can hear rocks crumbling beneath the ground’s surface. If dogs can sense what’s happening underground, what more with things happening above the ground? Storms produce electromagnetic force that dogs can sense before the storm strikes. Their olfactory nerves are 100 times more sensitive than humans, and most likely can smell electrical current in the horizon. Plus, their sense of hearing can possibly hear the thunder rumbling from several miles away. Dogs are often used in water search and rescue operations in US to locate drowned bodies. But how exactly can a canine smell a corpse in the waters? Well, the smell of corpses is released into the water flow, which is then released into the air. The searching dogs, which can either be in the shore, swimming in the water or on a boat, can track the scent’s strongest point, the drowned body itself. During the war in Vietnam, US military used trained scout dogs to detect enemies. This doesn’t sound surprising though, since dogs can naturally smell humans. However, the dogs were also trained to detect weapons, tunnels and land mines, saving hundreds of US soldiers’ lives during the war. Clearly, dogs are called ‘man’s best friend’ for many reasons. 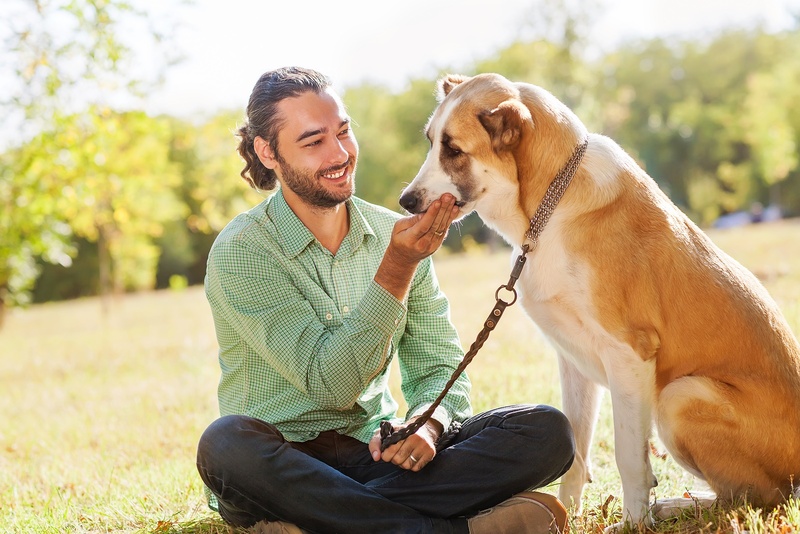 With all these things they can sense and do, there’s no surprise why some of us rely more on our canine friends than on humans. 5 Gifts Couples Often Forget to Register For—But Shouldn’t!